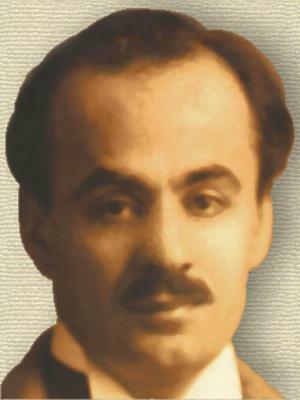 Lebanese-American writer, poet and artist , who moved as a child with his family to America in 1895. He wrote inspirational works, including The Prophet, a slim book of parables that by 1986 had sold almost eight million copies in the U.S. In Kahlil Gibran: The Collected Works (207), 181. In The Kahlil Gibran Reader: Inspirational Writings (2006), 38. Science and religion are in full accord, but science and faith are in complete discord. In The Kahlil Gibran Reader: Inspirational Writings (2006), 41. In Kahlil Gibran: The Collected Works (207), 206. We shall never understand each other until we reduce the language to seven words. In Kahlil Gibran: The Collected Works (207), 187. In Kahlil Gibran: The Collected Works (207), 188.